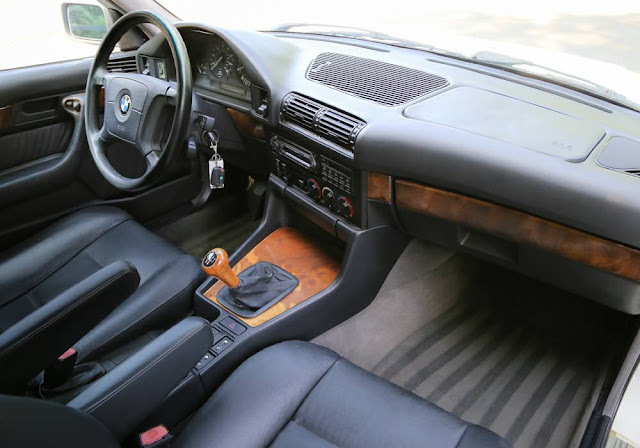 The E34 (1987-1996) was the third generation of BMW's executive class 5-series sedan and it was the first to feature V8 power. 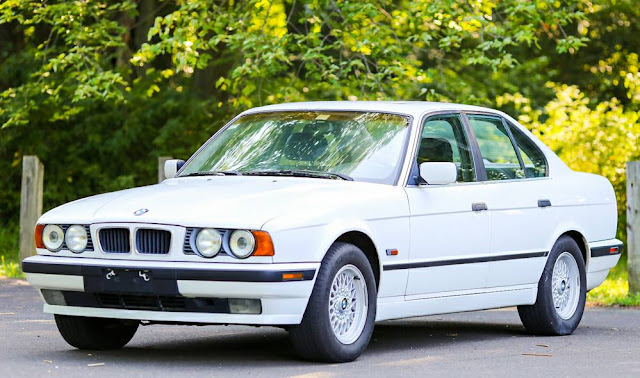 As the high mileage examples of the E34 are driven into the ground, a few nice examples float around waiting for some magical renaissance for used German luxury sedans that may or may not happen. I say driven 'em while they're new...ish. Find this 1995 BMW 540i offered for $6,900 in Lexington, OH via craigslist. Tip from FuelTruck. one more you'll learn---It'll be a toss up whether you change the oil or window regulators more often.